On the balcony overlooking the Raffles Hotel lobby, a local man stopped to talk to me. Hands it to me with a big smile. These moments of kind interactions from a culture I know very little about but each minute I fall more in love with it. 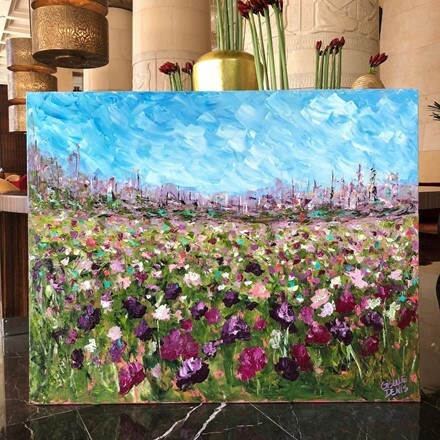 This painting was created during my second residency at the Raffles Hotel in Dubai in February 2018.